Panigrahana, mangalya-dharana, saptapadi and other rites are performed on the day of the wedding. Aupasana begins with marriage and is performed every day until one becomes a sannyasin or until one's death. The sacred fire that is witness to the marriage is preserved throughout and aupasana performed in it every day. The sacred fire has an important place in the Vedic religion. The student-bachelor performs samidadhana twice a day offering samidhs (sticks of the flame of the forest or palasa ) in the fire. This rite is not continued after his marriage. When a person becomes a householder he has a number of rites to perform in the sacred fire. In place of samidadhana he now has the aupasana. The latter word is derived from "upasana" which term is used in the sense of puja, chanting of mantras, meditation, etc. But, according to the Vedas, aupasana is a rite performed in the sacred fire by all Hindus. Though members of the fourth varna do not wear the sacred thread they have the marriage samskara and, along with it, aupasana. 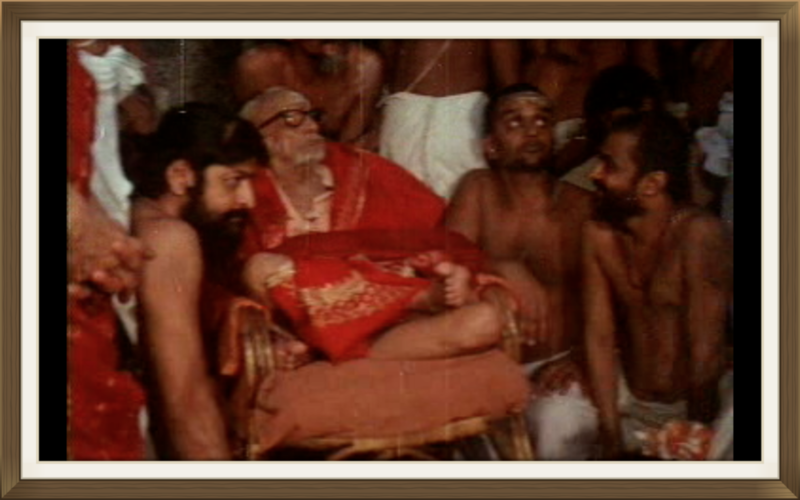 Dharmasastras like the Vaidyanatha-Diksitiyam describe how sudras are to go through the jatakarma and namakarana ceremonies. The work deals with how the fourth varna should perform puja, the sraddha ceremony and apara-karma (obsequies). Reformers ignore all these and allege that members of the fourth varna have no "right" to any rituals. Instead they must try to persuade people of this varna to perform the rites they are enjoined upon. Aupasana is one of the "rights" of this caste and it is to be conducted every day with the recitation of certain verses.